Olivia Kissel is an innovative artist and educator with over 15 years of experience teaching and performing in diverse settings around the world. As Co-Director of Zafira Dance Company, she is one of the early pioneers of the Tribal Belly Dance genre, and continues to push the creative and conceptual boundaries of this performance art form. Olivia travels tirelessly to teach, perform and pursue her love of International, Tribal and Contemporary Hybrid dance. Olivia offers a comprehensive dance instruction and performance experience like no other. 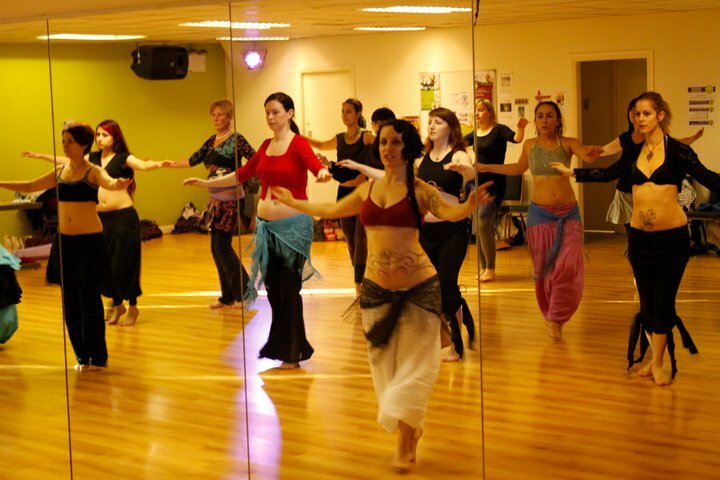 Her workshops are opportunities for participants to delve into the creative possibilities and sources of Tribal, Ethnic and Contemporary Bellydance; offering instruction that gives students tools to develop their own unique voice. Performances are opulent vignettes that combine Bellydance with contemporary and ethnic dance forms. The result is an ornate performance that blurs the boundary between old and new; performer and audience, earthy and elegant. Olivia’s workshops range from skill-mastery, to composition, to expressive and aesthetic dance approaches. Each workshop includes an introduction to the theme; development of the theme through movement exercises with hands-on guidance, and resolve in activities that guide the student to personalize the material. Click here to Book Olivia at your studio or event!